Be The FIRST to Know When We Open Enrollment! Ready to learn how to Display, Manage, and Communicate the benefits of high quality skincare so that your products fly off the shelves Spa Retail Rockstar is for you. Ready for home care recommendations to feel effortless because you're truly educating your clients - not selling to them Spa Retail Rockstar is for you. 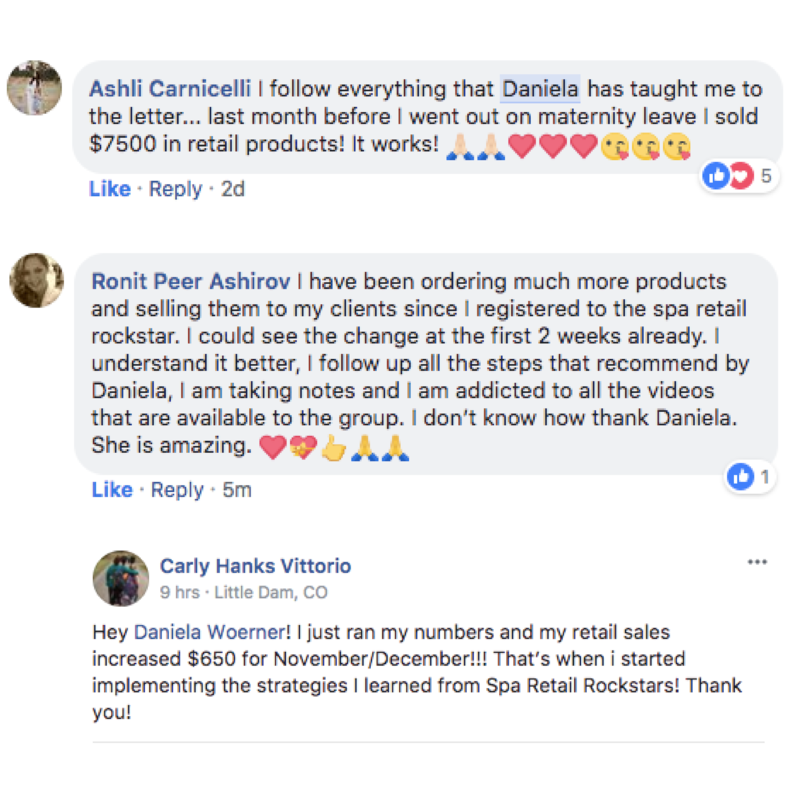 Ready to have a full book of clients (and even a waitlist) who are loyal to receiving services and purchasing products Spa Retail Rockstar is for you. What Is Spa Retail Rockstar? 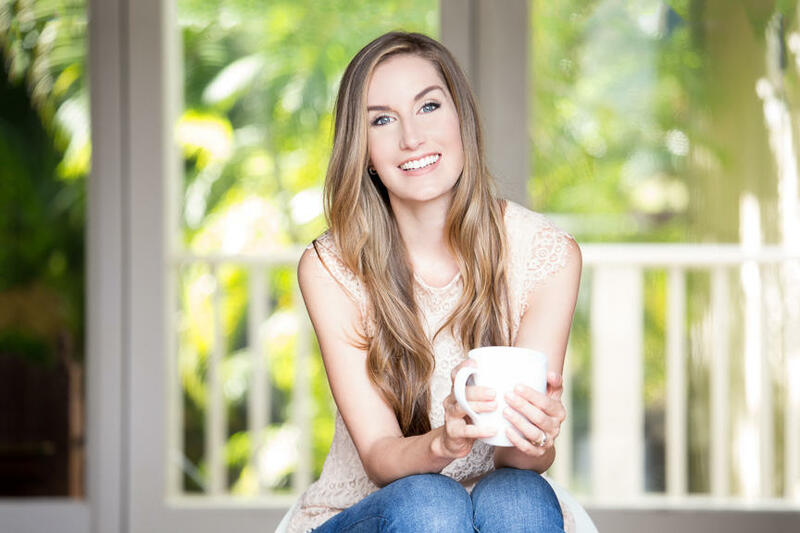 Spa Retail Rockstar is a Group Coaching + 6 Module Video Course that shares step-by-step strategies to show you how to increase your retail sales and how to get more clients in the door. When done correctly, retail can generate the same amount of revenue (if not more) than your service sales do. Stop trading dollars for hours and build a business that you can scale so that you can spend your time working with your ideal clients and doing more of what you love. Create irresistible monthly promotions using the 6 psychological triggers that influence purchasing decisions. Deliver consult that converts and creates happy, loyal clients. Clearly and articulately educate your clients on the real benefits of quality skincare. Implement strategies that ensure you're maximizing the resources you already have in your business. Master your social media platforms so they are actually generating sales in your business everyday. Position yourself as an authority so that you'll never have to worry about internet sales again. 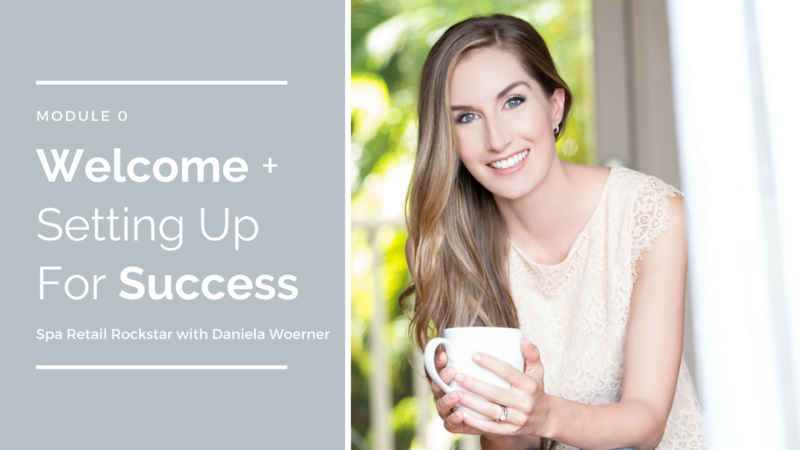 Discover the CRIPPLING beliefs that are keeping you from making the money you deserve in your business, and how to free yourself from them INSTANTLY! 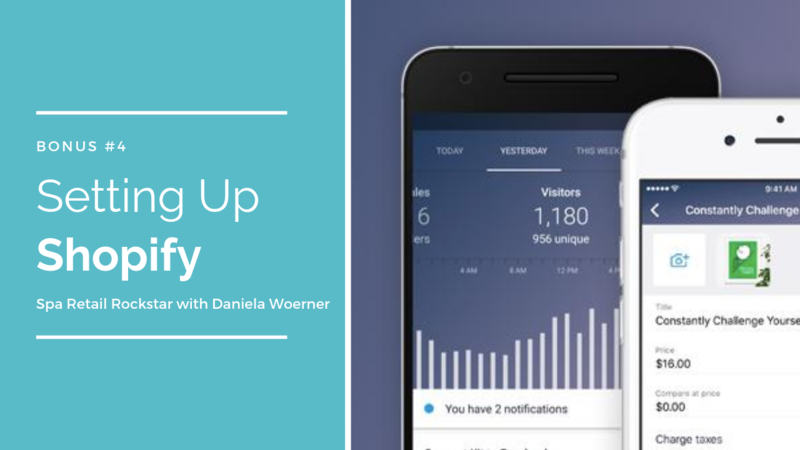 What metrics NEED to be measured in your business so that they can be MANAGED, and the most simple, efficient way to do it - even if you're not a numbers person. Learn 6 psychological triggers that influence your clients purchasing decisions and how you can put them into practice TODAY allowing you to focus on EDUCATING your clients on homecare - not selling to them. JUMPSTART your sales by maximizing resources you already have - a phone, a computer, and social media profiles. 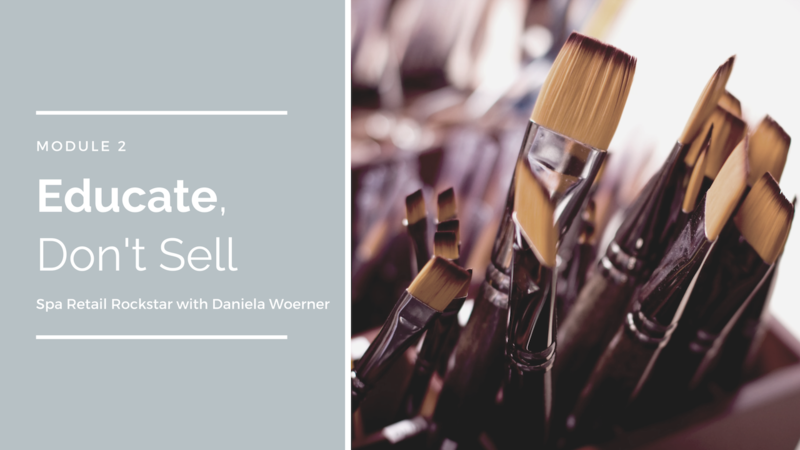 These strategies + the 3 questions you can ask any client that will always lead to MORE SALES will boost your bottom line. Allow your social media platforms to become CLIENT GENERATING machines! Make sales and fill your appointment book on autopilot. 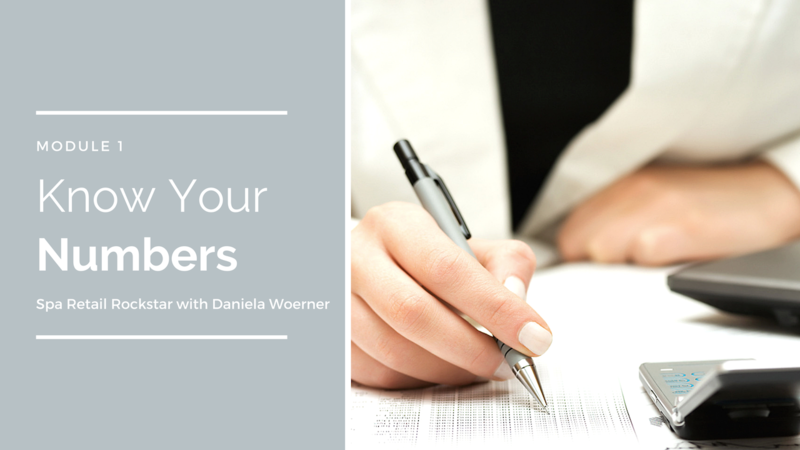 Discover how following up with a client properly can INCREASE PROFITS by 25%-95% and how you can use this strategy to beat INTERNET SALES. And Check Out These AMAZING Bonuses! A FREE Ticket to Our In-Person Marketing Event! A $397 Value! 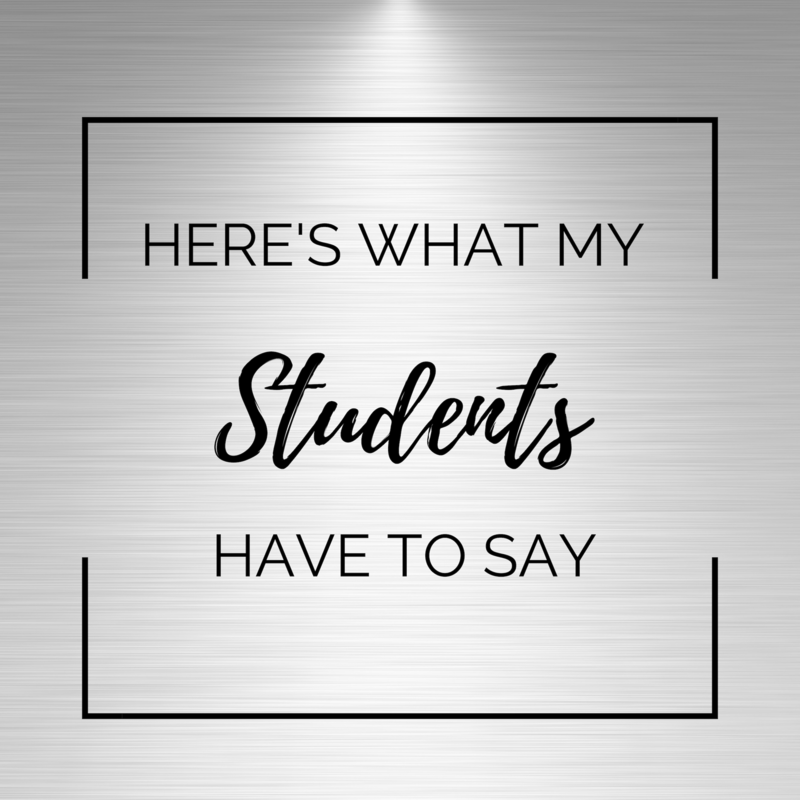 Nothing can beat the connections that are made in person which is why we are offering ALL Spa Retail Rockstar students one free ticket to our signature marketing event. Create Your Own Product Line! A $197 Value! If you're looking to take your brand to the next level (and boost your profit margin) private label may be the right path for you! 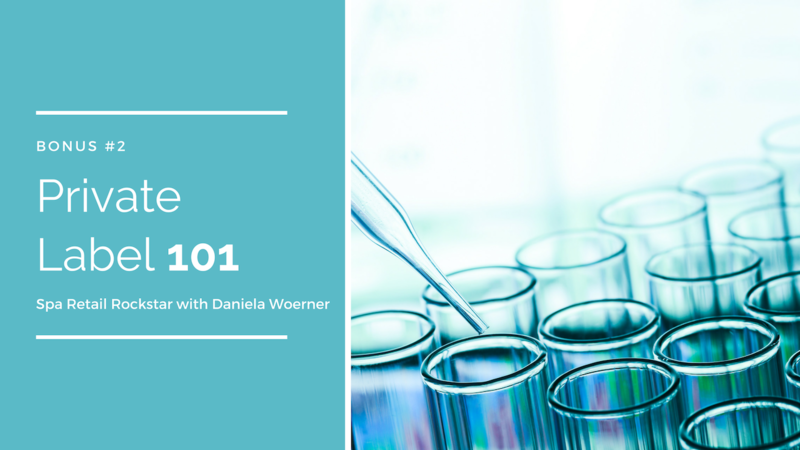 Learn what's really required to get started with your own skincare line in this bonus training. Create Beautiful Graphics. A $97 Value! 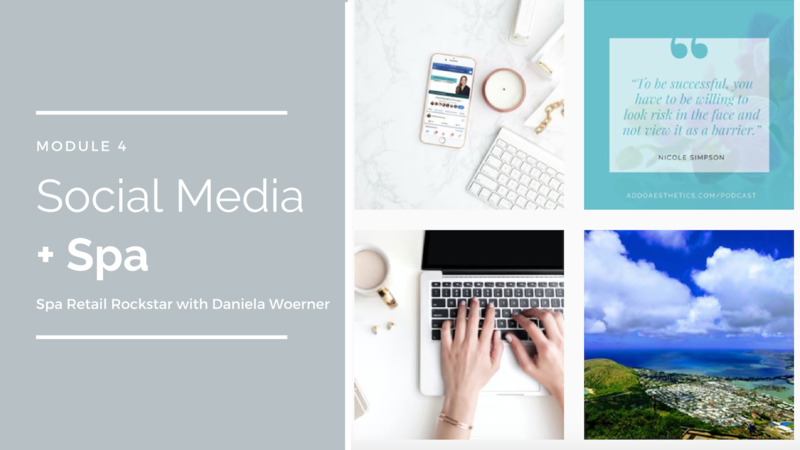 Want to sell through social media but you're not sure how to make branded images? No problem. We'll walk you through the process of creating beautiful graphics + more using this free graphic design software! Selling Skincare Online. A $197 Value! Give your clients the ultimate convenience by allowing them to order their skincare on line and have it shipped directly to their home! Who needs Amazon when they can support a local business AND receive your expertise? Learn how in this bonus training. 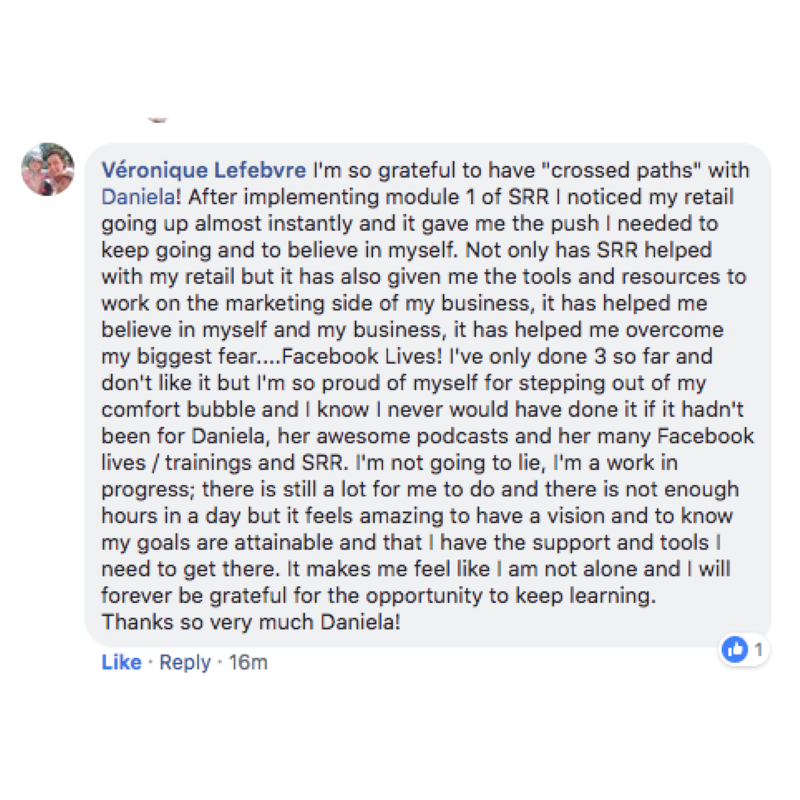 I don't want unhappy money so if you enroll in Spa Retail Rockstar and for whatever reason decide that it is not a good fit for you, simply send an email to our support team at [email protected] within 14 days of your enrollment and we will issue you a full refund. No questions asked. 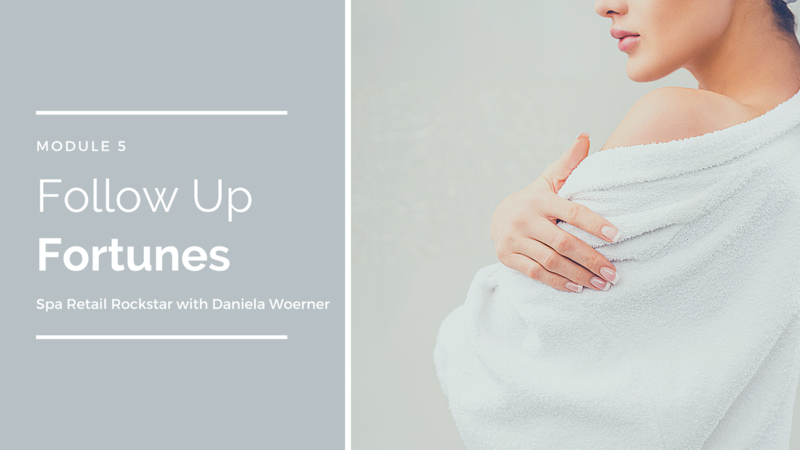 Do you LOVE performing treatments for your clients but crave stability in your schedule and consistency with your income? I totally get it. I was in the same place as you not too long ago. Everything shifted for me when I started focusing 100% on serving the patients who came to see me. Today I am lucky enough to run an international spa consulting company where I get to work with the top skincare brands in the world and share my trainings for aestheticians in 82 countries across the globe. My passion and purpose is to make a positive impact on your life and business. So that YOU can stop worrying if you're going to make it in this industry that you're so passionate about. So that YOU can earn a livelihood & support your family. So that YOU can make a positive impact on your clients. I just got my aesthetic license, is this right for me? Totally! 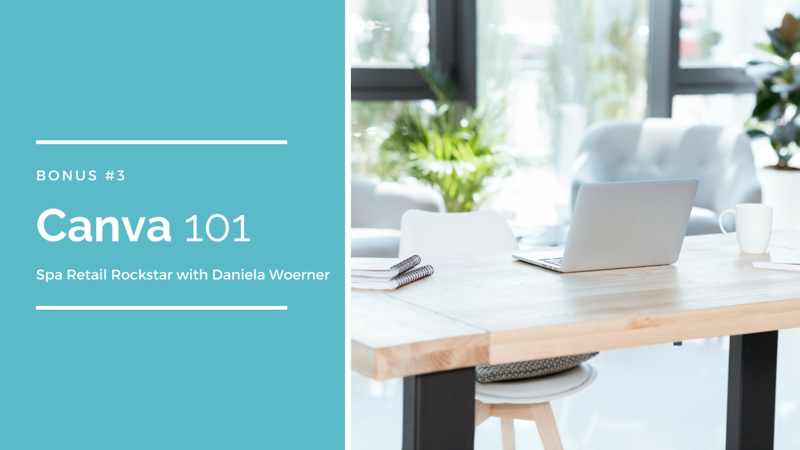 In fact, learning how and when to incorporate retail into your conversations with your clients + all of the business building strategy and coaching calls will put you on the fast track to success! I'm not a solo aesthetician or spa owner. Will this program still help me? Absolutely! 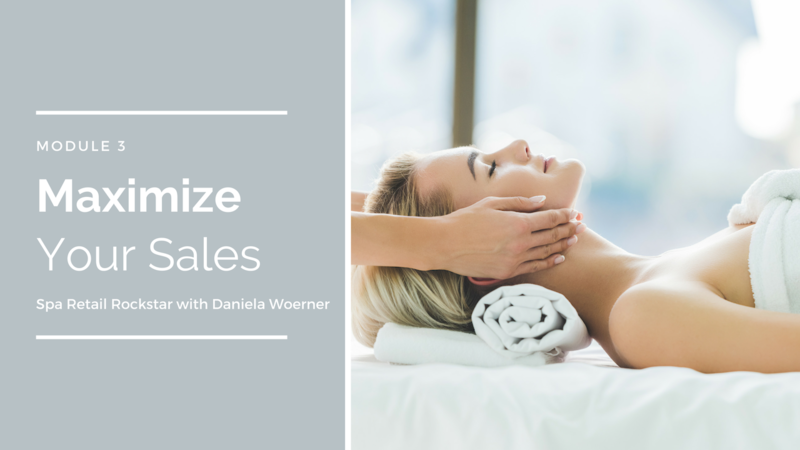 While some of the content is very focused on solo aestheticians and spa owners there is plenty of patient communication, marketing, and social strategy that will help you increase your retail sales AND strengthen your client retention. How much time will it take for me to go through the program? You'll need between 2-5 hours per week for the next five weeks to get through the video training and workbooks. When you enroll, you'll have access to Module 0 and Module 1. Every 7 days a new module will be released until you've gained access to all of the material. The great thing is that because you have lifetime access to the video training (including all updates), you can watch and rewatch the videos on your own schedule. 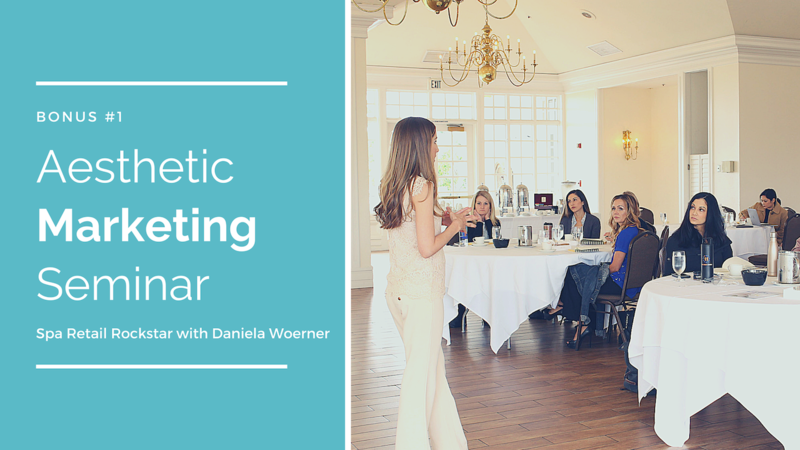 Your ticket will not expire and can be used for any Aesthetic Marketing Seminar that we host. It is our intention to host twice a year in different locations across the country. Tickets do not have a cash value and can not be redeemed or transferred. Who has access to the Group Coaching calls? When you enroll in Spa Retail Rockstar you will have the opportunity to attend our coaching calls live for 12 months after your enrollment date. Our group coaching calls take place once a month and are held with a video conferencing app called Zoom. If you are unable to attend the call live, the replay will be available in the members area of Spa Retail Rockstar. Why will I only have access to the Facebook group for 12 months? 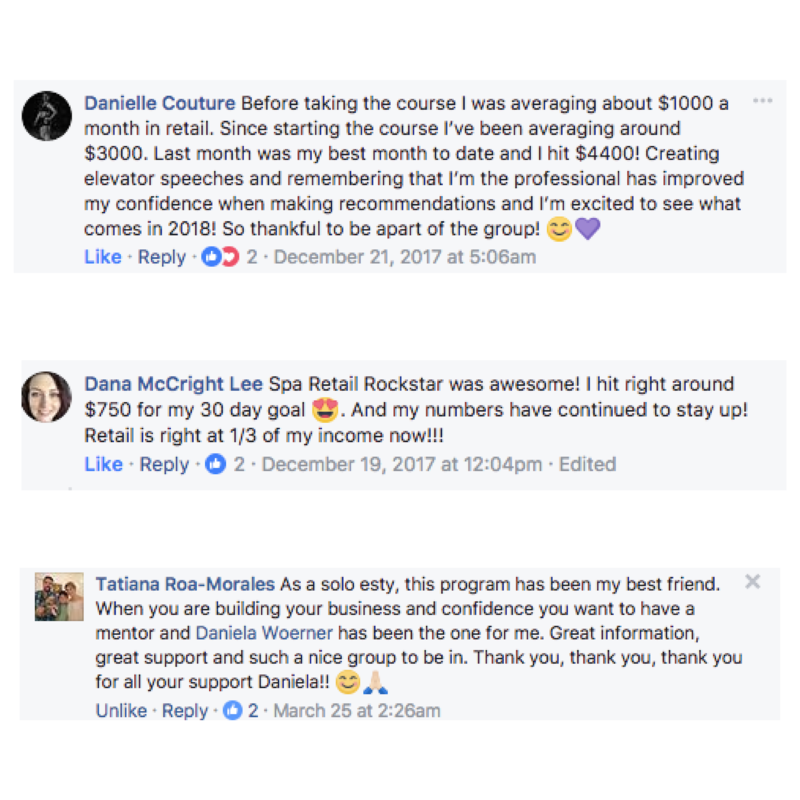 You will have access to the Spa Retail Rockstar Facebook group for 12 months from the date of enrollment in the program. We limit the time in the group to ensure that we will be able to provide thoughtful responses to all comments and questions that come up in the group. 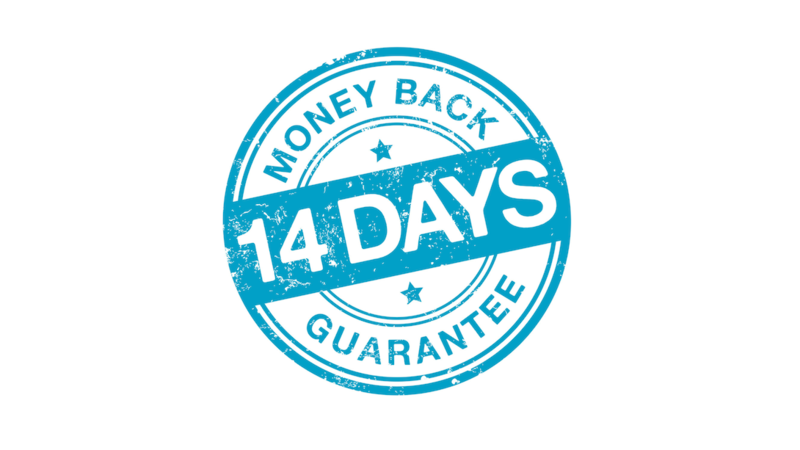 We offer a 14 day, no questions asked cancelation policy. You can enroll in the program and if at anytime during those 14 days you decide that it is not a good fit, send our support team an email at [email protected] and we will issue you a refund. Be the FIRST to know when we open enrollment for Spa Retail Rockstar + have access to exclusive bonuses ONLY available to those on the waitlist!